Two students from the School of Design in Nanyang Polytechnic (NYP) received honorary awards from Mediacorp representatives last Thursday for winning a trophy design competition co-organised by Vasantham Central. The winning entry titled ‘Jayem’ (Victory) was designed by Muhd Farhan and Huang Zi Yen from Diploma in Industrial Design. 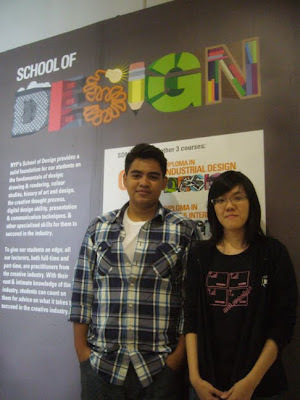 Farhan has since graduated and Zi Yen is currently a Year 3 student. The duo were very pleasantly surprised and felt literally speechless when they received a call to inform them of the good news, because they felt that there was tough competition. They also expressed gratitude towards their mentors for their guidance. When asked to describe their design, Farhan said that their design represents the competitors’ journey throughout the competition. Miss Ong Lay Heng, the Managing Director of Suria, Vasantham & MediaCorp Eaglevision, commented that she was very touched with the response from NYP students. Likewise, Abdul Shariff Moideen, who was part of the judging panel for the trophy design, echoed similar sentiments. He said that the judges came to a unanimous agreement when narrowing down to the three final designs, and that the design by Farhan and Zi Yen was chosen because it was elegant, innovative and reflected the branding of the channel. According to Mr Ooi Inn Bok, Director of the School of Design, the students worked in vertically integrated teams, which consist of a mixture of students from different levels. This was part of the Vertical Integration program, in which teams consisting of Year 1 to Year 3 students had to get together and work together. Fifty teams participated in the competition by Vasantham Central for the fifth season of Yaar Antha Star, a singing competition for youths in Singapore. This is the first time Nanyang Polytechnic has collaborated with Vasantham Central. 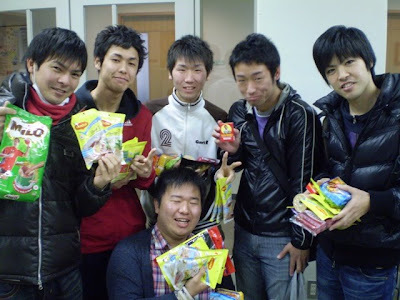 First year Diploma in Physiotherapy students Sunny Tan and his friends open their hearts to 20 Japanese students and their families by sending them over 20kg of food items to tide them through the aftershocks in Japan. The NYP students met their Japanese friends during a nine day study trip to Seirei Christopher University in Hanamatsu, Shizuoka. 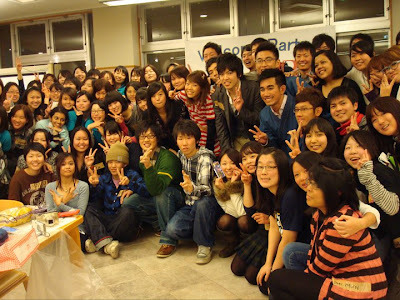 They were very kindly hosted by the students of the university, who had cooked for them, and guided them throughout their stay in Japan. According to Sunny, some of their Japanese hosts are living on their own. Sunny's own host has to work a part-time job in order to sustain himself. When Sunny saw how convenience stores at the airport had run out of food the day they left Japan - 12th March, he came up with the idea of sending food supplies to their Japanese friends. Together with his friends Shameera Rhabiyathul and Xue Yan Yeong, they shopped for essential items such as Milo, Maggie noodles, porridge, nuts, oatmeal and raisins for their friends in Japan. The entire package, costing about $770 (shared amongst 17 students) reached Japan on the 31st March to grateful students and their families. "Earthquakes and aftershocks affect Japan everyday and we didn't know how long it was going to drag on so we thought it might be good to give them some supplies so that they can use it when they actually need it," said Sunny.